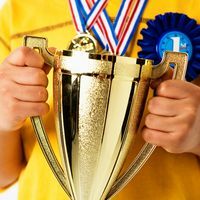 State of the Db2 Universe Study Winners Announced! "The Db2Night Show z88: Db2 Security Best Practices Volume II"
The DB2Night Show #192: ALL ABOUT IDUG Anaheim 2017 plus Badge Winner! 100% of our audience learned something! Terry told us all about the upcoming IDUG Conference in Anaheim California, April 30-May 4. 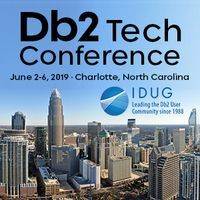 This year the conference format is "new and improved", so be sure to listen to the changes to make the most of your IDUG DB2 Tech Conference experience! Paul Turpin also shared with us news about the IDUG Data Tech Summit - which is essentially a conference within the IDUG conference that will be focused on emerging IBM technologies. Please enjoy our replay, and we look forward to seeing you at IDUG! The DB2Night Show #176: ALL ABOUT IDUG & DB2's GOT TALENT 2016 Winners! plus DB2's GOT TALENT 2016 Winners! ROUND #4 - Final Round! 1 Contestant Competes for YOUR Votes! Judges and Guests give Presentations! BREAKING NEWS: IBM & DBI Reception at IDUG! 2 Contestants Compete for YOUR Votes! Great DB2 LUW and z/OS presentations! 4 Contestants Compete for YOUR Votes! 3 Contestants Compete for YOUR Votes! Celebrating 2015 with 2016 Insights! The DB2Night Show #155: All About IDUG & DB2's GOT TALENT 2015 Winners! DB2's GOT TALENT 2015 Winners! 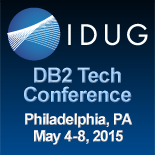 IDUG Philadelphia 2015 - Get the Insiders Scoop! 100% of our studio audience learned something! 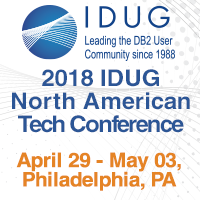 IDUG Volunteers Terry Johnson, Conference Chair, and Steve Rosenberger, Thread Chair, shared with us great information about the upcoming IDUG Conference in Philadelphia! Learn about SIGs, Networking Events, Keynotes, Vendors, Receptions, Hands on Labs, Ed Seminars, and the most robust technical session grid that IDUG has ever offered! The DB2Night Show #151: DB2's GOT TALENT - Finals Round 1 - Top 9 Compete! Top 9 Finalists Compete for YOUR Votes! Great DB2 LUW & z/OS presentations! 100% of our studio audience learned something! Today's presentations were GREAT and included topics on package cache analysis, trying IBMBLU acceleration, battles with DB2 LUW license administration, DB2 10.5 BLU Data Skipping, DB2 z/OS SQL tuning via temp tables, DB2 z/OS Stored Procedure Analysis, a DB2 LUW Range Partitioning Case Study, and new features in db2pd for DB2 LUW 10.5! This show contains another buffet of useful tips and advice! Enjoy! 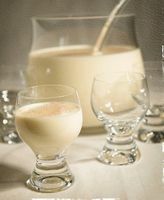 The DB2Night Show #144: Annual Eggnog Party with Who's Who of DB2! Celebrating 2014 with 2015 Insights! The DB2Night Show #132: All About IDUG & DB2's GOT TALENT Winners! Hover your mouse over finalist photos for more information and links to LinkedIn profiles! DB2's GOT TALENT Winners Announced! The DB2Night Show #129: DB2's GOT TALENT Top 9 Finalists Compete! It's Day 6 of the DB2 Olympics! The DB2Night Show #128: DB2's GOT TALENT Top 10 Finalists Compete! Top 10 Finalists Compete for YOUR votes! It's Day 5 of the DB2 Olympics! A buffet of DB2 tips and advice! The DB2's GOT TALENT March Finalist shows are amazing! You can learn from and enjoy great presentations by rising stars in our DB2 community! Watch this replay, learn good advice from your peers, then VOTE for your chance to win a $25 Amazon.com gift card! It's Day 3 of the DB2 Olympics! 90% of our studio audience learned something! We had some good presentations today on DB2 z/OS and LUW! Learn about DB2 SAP monitoring and tuning (z/OS), a great story about a table that was accidentally dropped and recovered (z/OS), and ADMIN_MOVE_TABLE - "The GOOD, the BAD, and the UGLY." Watch this replay, learn good advice from your DB2 community peers, then complete our survey for your chance to win a $25 Amazon.com gift card! 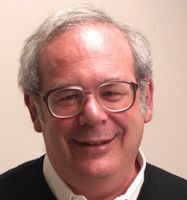 The DB2Night Show #122: BIG DATA - What does it really cost? BIG DATA - What Does It Really Cost? "The DB2Night Show z39: OLAP Queries for Powerful Reporting and Analytics "
The DB2Night Show #107: All About IDUG & DB2's GOT TALENT Winners! 80% of our studio audience learned something! During this annual episode of The DB2Night Show™, IDUG Volunteers shared with us news and valuable information about the upcoming IDUG Conference in Orlando Florida April 29th - May 3rd. We also announced the 2013 DB2's GOT TALENT Winners! The DB2Night Show #106: DB2's GOT TALENT Top 5 Finalists Compete! Special Guests: Mohan, Ember, Chris, Eric, and Sreeharsha! 95% of our studio audience learned something! This is it! 1st, 2nd, and 3rd place will be determined by DB2 community voting! Today's presentations were fun and informative! This show contains a buffet of DB2 tips and advice on Tuning Siebel, using MQT tables, virtual database administration, clever ETL tricks, and achieving DB2 success! Watch this replay, learn great advice from your DB2 community peers, then cast your vote for your favorites! 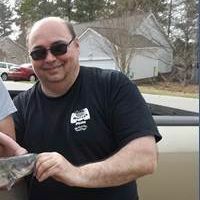 The DB2Night Show #105: DB2's GOT TALENT Top 7 Finalists Compete! Special Guests: Ember, Mohan, Chris, Renu, Armando, Eric, and Sreeharsha! 100% of our studio audience learned something! Today's presentations were fantastic! This show contains a buffet of DB2 tips and advice on Migrating Databases, Compression, Restrictive Databases, Isolation Levels, Altering Data Types, The Secret, and SQL for DBAs! Watch this replay, learn great advice from your DB2 community peers, then cast your vote for your favorites! The DB2Night Show #104: DB2's GOT TALENT Top 9 Finalists Compete! Special Guests: Ember, Mohan, Chris, Renu, Sanjay, and Sreeharsha! 80% of our studio audience learned something! Today's presentations were fantastic! Unfortunately, GoToWebinar® was having problems today and many people, including finalists Eric, Armando, and Mikko, were unable to join today's show. Still, this show contains a buffet of DB2 tips and advice! Watch this replay, learn great advice from your DB2 community peers, then cast your vote for your favorites! 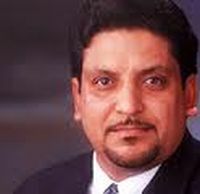 The DB2Night Show #103: DB2's GOT TALENT Top 10 Finalists Compete! Special Guests: Ember, Mohan, Eric, Chris, Renu, Sanjay, Mikko, Armando, and Sreeharsha! 96% of our studio audience learned something! Today's presentations were fantastic! And our judges were thankful that they didn't have to decide which were the best - that's up to you - our worldwide DB2 audience! This show contains a buffet of DB2 tips and advice! Watch this replay, learn great advice from your DB2 community peers, then cast your vote for your favorites! The DB2Night Show #102: DB2's GOT TALENT Judges Compete! What is the law of the water balloon? Tips from Mikko, Umesha, Sreeharsha, and Armando! Tips from Adam, Chris, Renu, Juliano, and Sanjay! Special Guests: Berni Schiefer, Ember Crooks, Klaas Brant, Iqbal Goralwalla, Michael Tiefenbacher, Julian Stuhler, Susan Visser, Christian Molaro, Willie Favero, Martin Hubel, Santa Claus, & more!